“Ruby, Ruby, Ruby” as the song goes… or as we have here, 3 poses by Ruby the gorgeous Cocker Spaniel wearing “Henley” by BlossomCo. 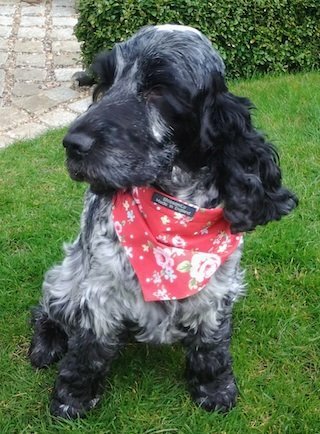 Ruby the Cocker Spaniel has been turning heads with her new bright floral collar and bandana. 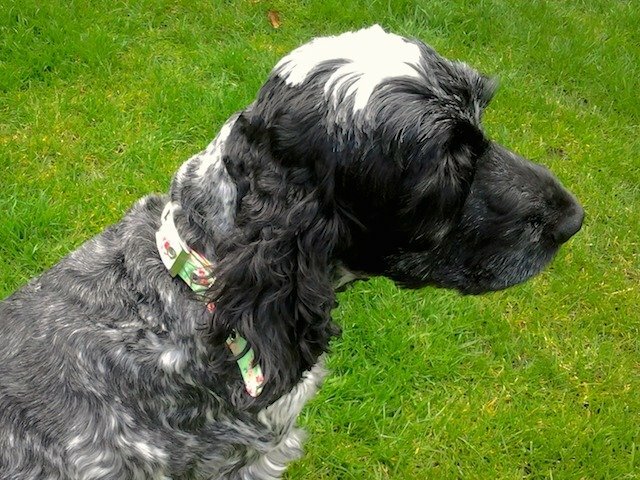 Here’s the lo-down on Ruby…. Social butterfly: Ruby loves playing with her friends; Freddie, Angelcake and Lollypop. 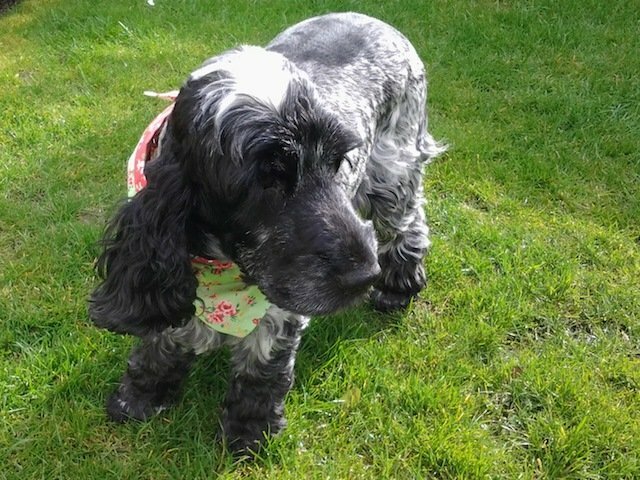 Ruby loves: Obviously BlossomCo is one of Ruby’s favourite things, but she also enjoys walks in the countryside – nothing beats a good sniff at all of those delicious smells!